Here's a video from Burning Man 2014; in line for the DMV (Department of Mutant Vehicles). 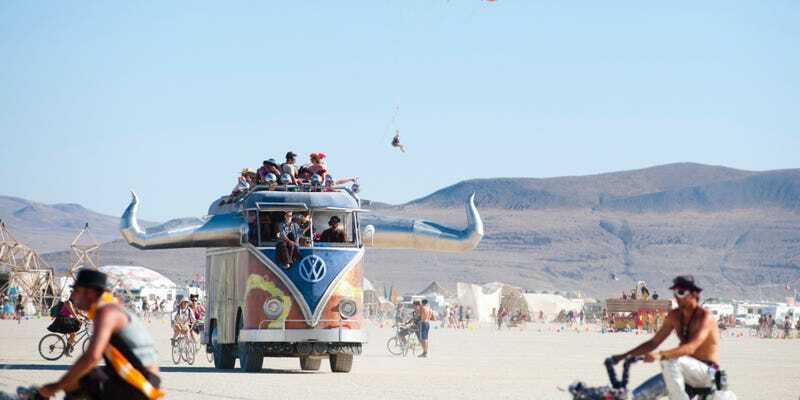 Burning Man permits a limited number of Mutant Vehicles, and this the queue for licensing. Note the sign at about 48 seconds, for "Salem's Lot", the section for flame inspection.